Horiren is one of the top horishi in Japan, and certainly one of the few females tn this industry. Her work is simply incredible to see in the flesh. Perfectly balanced and consistent, with gorgeous use of colours, and an eye for composition. Horiren is also one of the most flamboyant, and personable people in the Japanese tattoo industry today, witli a humble demeanour, and a drive to take lier art form to the full potential as her career progresses. 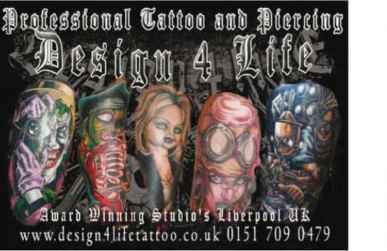 Ever Wanted to Get a Tattoo? Here is a Priceless Guide on How to Choose the Perfect Tattoo! Do you ever find yourself admiring the artistic work of another person’s tattoo? Do you wish you had the nerve to get one of your own but just aren’t sure you know enough about them to take that final step?